Posted on 28th February 2016 at 2:36 pm. 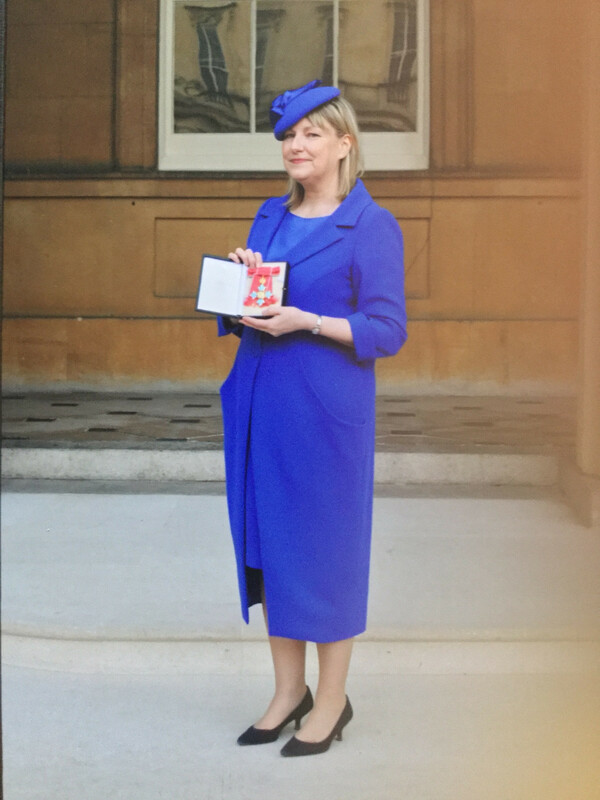 Bridget McConnell chief executive of Glasgow Life was awarded the prestigious CBE at Buckingham Palace this month. We were delighted that she chose to wear a Joyce Young design. She looked stunning as she received her award from Prince Charles in a very appropriate royal blue coat and dress in wool crepe and satin with matching hat. Congratulations Bridget on your fantastic achievement.